Christopher Gorham is coming to Syfy. Deadline reports the Covert Affairs star has been cast in season two of The Magicians. Based on the books by Lev Grossman, the supernatural drama is set at the secret Brakebills University for students of magical ability. The cast includes Jason Ralph, Stella Maeve, Olivia Taylor Dudley, Hale Appleton, Arjun Gupta, Summer Bishil, Rick Worthy, Anne Dudek, Jade Tailor, and Esme Bianco. Gorham will play “Sen. John Gaines, who discovers he’s in possession of unusual abilities.” Season two of The Magicians is slated to debut in early 2017. What do you think? Are you a fan of The Magicians? Will you watch season two? Really enjoyed season 1. 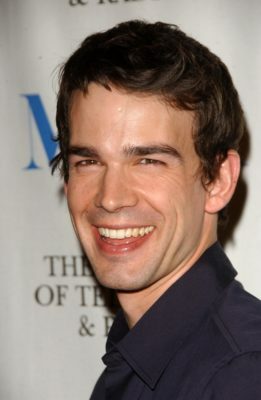 Big fan of Christopher Gorham. Where can I get a peak at season 2?